When I was in 8th grade, transitioning to a Catholic high school, my teacher advised my mother to send me to a co-ed school. The reason: I didn’t know how to act around boys. The nun wasn’t worried about my body. She was worried about my mouth. I wasn’t afraid of speaking out – loud and often – behavior she suspected would make me an outcast for life. I didn’t defer to the boys. My mother did send me to a co-ed high school where I continued to speak out – loud and often. And indeed I did find myself the outcast, but luckily I discovered theatre and the power of the written word. How often do we apologize for our writing, telling anyone who will listen that it’s “not quite finished” or “just a first draft” or whatever qualifier we attach to it. Have you ever heard a male playwright describe his work that way? That’s my mantra to remind myself to just finish the damn play and get it out there. How often do you hear a male writer apologize for his work? Uh – never? Helaine Becker put it a different way. 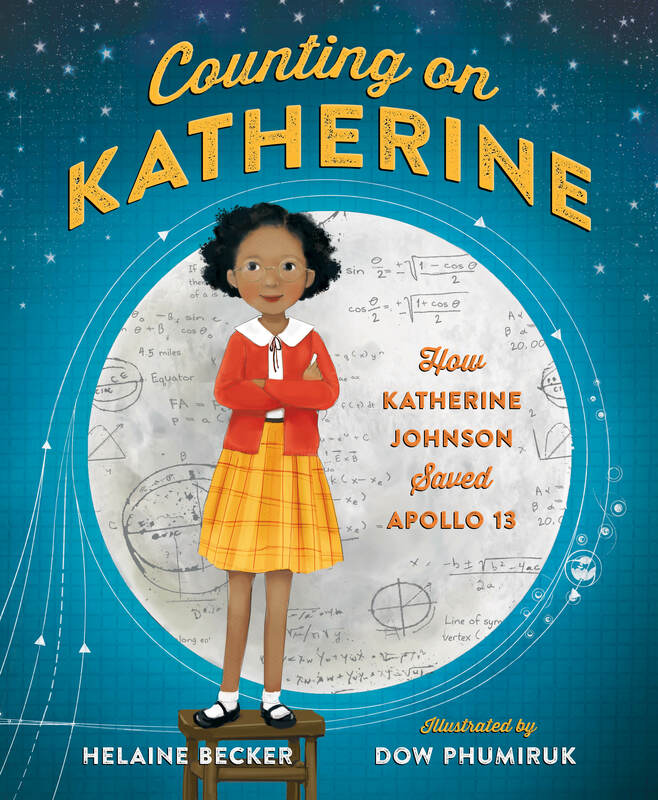 profiles Katherine Johnson, the NASA math whiz from the film “Hidden Figures.” I was lucky enough to hear her speak to a group of children’s book writers in San Diego last month. Her talk covered the usual topics: putting together a non-fiction proposal, creating a target list of places to send your work, following the decision makers on Twitter, and all the nuts and bolts of the topic. Helaine looked around the room, shook her head, and started to give a different lecture. She laid down the law for the ladies who wanted their work to see the light of day: send out your manuscript when it’s “good enough,” she said. Don’t wait for perfect. She insisted that “not open for submissions” was a mere gatekeeper to keep the timid out of the system. Sitting around waiting for someone to get back to you was unprofessional. “You have an obligation to followup.” After six weeks, write back, ask whether they’ve had a chance to look at your work yet, and ask when you might expect a response. In other words, STOP BEING A GIRL. My plays are not perfect. It’s unlikely any will ever make it to Broadway or Arena Stage or South Coast Rep. That doesn’t mean they aren’t worthy of productions and reviews and publication. (In fact, my adaptation of Nikolai Gogol’s “The Nose” was indeed just published by YouthPLAYS!) Instead of apologizing,I’m sending them out, trusting that I just haven’t found the right audience for them. Yet. The same can be said for my first kids book. It will likely never win a Newbery Award, but it was “good enough” to get me an agent, to get great feedback from big-deal editors, but it was soundly rejected by the big five New York publishers. STOP BEING A GIRL, KITTY! Black Rose Writing out of Texas. Think about your work. Which audience can it particularly inspire? Out of towners visiting Broadway? Students who stumble into a reading of your play at a neighborhood coffee house? Senior citizens who would adore a play about a famous woman from their lifetime? There is an audience for our work. Our “good enough” work. We just have to find it. In the meantime, let’s stop apologizing for our work. The only way our voices can be heard is if we have the guts to put it out there…over and over again. Be brave. Be persistent. Be a new kind of girl. 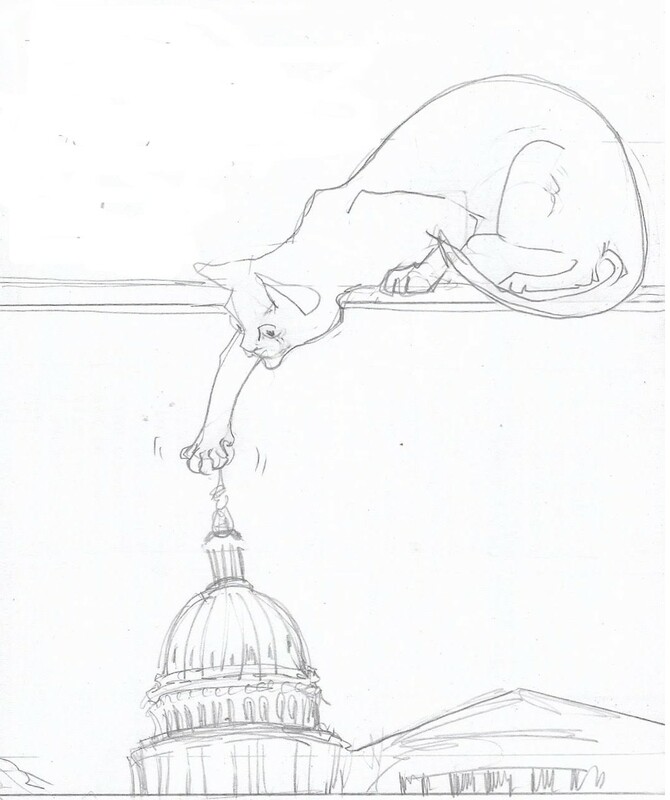 Kitty is on book tour with her first middle grade mystery “Welcome to Washington, Fina Mendoza” (Black Rose Writing, 2019) and will be reading from and signing books at: Politics & Prose, The Wharf, Washington, DC Monday March 18 at 7; Children’s Book World, West LA Saturday March 30 at 2:30; and Vroman’s Pasadena Monday April 1 at 6pm. I love these alternate line readings. I’m including this amusing graphic of “Reading Between the Lines”, as a warning that the “provocative” ( – irritating) story I’m about to tell, could be seen as something written “in the tradition of” (- shamelessly derivative) as multiple points of view. Like every story. Like every play. 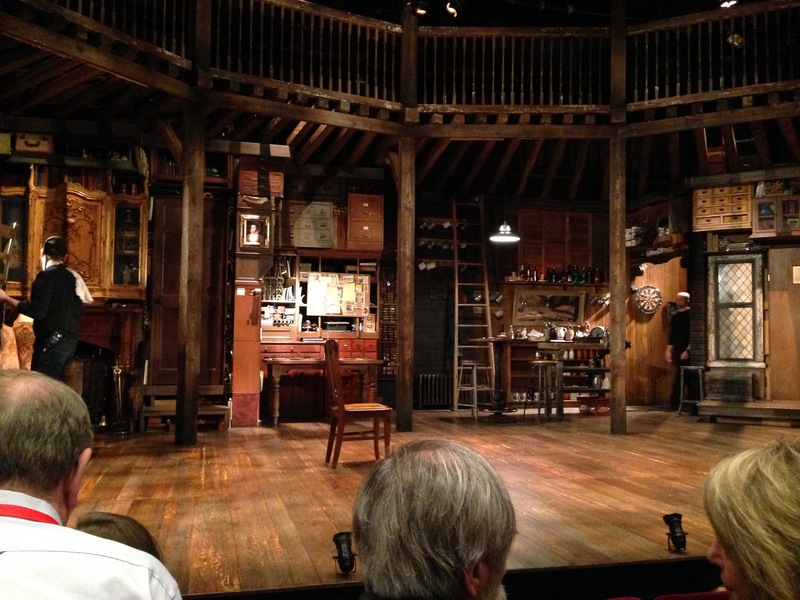 In November I was invited to the opening night of “THE HARD PROBLEM”, by Tom Stoppard at Lincoln Center. (I know how posh that sounds – I loved writing it.) When I was a young actor I performed in a couple of Tom Stoppard plays and I’ve always delighted in his witty characters, the mental gymnastics, the world of words in his writing. My sister was taking me to this opening night performance, and we went out to an early dinner, (yes, she got us a table at Joe Allen’s). Someone I love very much was in the cast, and like a lot of writers, I tend to live vicariously through the lives of others, this was a peak experience. Flowers for opening night. Joe Allen’s. My sister. Lincoln Center. A star performer I have always championed doing incredible work in the show. That’s the top line of this story. Other threads in the story: I’ve been in and been to dozens of opening nights in my lifetime. This one was intense. This Lincoln Center opening night had celebrities (Rosemary Harris – who I have always loved as an actress – sat in front of us), a new play for New York, a famous playwright, a glamorous setting. You could feel that live wire electricity in the audience. Another thread: I was feeling very protective about my sister that night; she had recently sprained her ankle and was walking with a cane. She fearlessly walked into the theatre. I was on high alert watching out for her; something I have to try and hide from her as she hates to be fussed over by me like that. The connecting thread: when we entered the theatre, we saw that a young man in the seat next to us had his large suitcases wedged in our row. We hesitated – this seemed odd. But there were no ushers to be found to sort this out, so we had to climb over his suitcases to get to our seats. We eventually were able to sit down, and we waited for the play to begin. We were in high spirits, and I suppose, rather nervous. I love opening nights: the whispers in the lobby, the ebb and flow as the audience comes in, the scuttle of the ushers up and down the stairs. I know what it feels like to be backstage waiting in the wings before the lights come up. Nowadays I see myself in the audience as a kind of satellite receiver, boosting the transmissions being beamed across the theatre. Yes, on this night, I had my first case of sudden and severe gastric distress. It started as soon as we sat down in the theatre and I started reading the program for the play. Like the first scary music in a horror film, I heard this growling sound. And then more noises, like a garbage disposal chewing up your forks from a dinner party. But then I realized that these thumping noises were coming from me. I’d never heard these sounds before. And then this wrenching bolt of intestinal pain shot through me. It was a spontaneous gastrointestinal nightmare. But back at the play: an announcement was made that all cell phones should be turned off, the house lights changed, and the play started. I seemed to be okay. I focused on the words from the actors. I used mindful meditation breathing. The play was unfolding into twists and turns, I thought I was good. But during the play, the young man sitting next to my sister, the man with the big suitcases, pulled out his cell phone, turned it on, and started to watch a soccer game. On his phone, during the play. The sound was off, but the flickering light from the phone lit up the entire row. You could see the audience members turn around as they tried to gesture to him to turn it off. He ignored them. The people next to him asked him to turn off his phone. He shrugged his shoulders. They left to find an usher. They returned, without an usher. He continued to watch his soccer game on his phone. After a moment, my sister turned to him and in a sotto voce tone like the serpent in the Garden of Eden (after the fall), she told him to turn off his phone. He turned off his phone. The audience’s attention returned to the play. It was a Rubik’s cube of ideas, characters, and intentions. I’m still thinking about it two months later. At one point there is a revelation of betrayal in the play, underplayed so quietly, you might not be sure you heard it. There was a moment of quiet in the audience. And then it started up again. My growling noises. It sounded like the rumbling sounds coming from a brass cannon in a far away civil war. Or: It sounded like a huge garbage truck digesting a weeks worth of garbage. Or: I was the only person who could hear it and I was mistakenly afraid that others were bothered by it. I’m not sure which version is correct, but I tried to look unfazed and focused on the play. And while I tried to make it look like it wasn’t me making that noise, inside, I was trying to scold my digestive system into silence. Knock it off! You’re as bad as the guy with phone watching the soccer game! Stop that! I mean, cut it out! But then. The play ended. The applause and the ovations were over. And as we left, my sister turned to the young man and in a low voice, gave him such a warning that I don’t think he’ll show up with his iPhone and soccer games in an audience again. We made our way to the opening night party, and eventually my digestive system quieted down. Or it might have been that the music and the noise from the party was so loud that no one could hear me and my personal rumblings. I guess it all depends on what line reading you choose. When it comes to playwriting, I’m pretty confident. I’m pretty good at character and dialogue, though my plotting could use a lot of work. And I know the basics about how to format a draft that is acceptable for submission. But I’ve learned a hard lesson of late: I don’t remember a thing from 5th grade grammar class. Apparently it didn’t matter in my career as playwright and radio journalist. Nobody really cares where you put your commas. There are no quotation marks. You never have to worry about tense in radio reporting: live spots are always in present tense; radio features are told in past tense. Plays on the other hand always take place in the “now” – even when we’re having onstage flashbacks to past events. Why this trip down grammatical worry lane? I have my first “prose” book coming out in late February and correcting the galleys has made me realize that as a writer, I really don’t know what the heck I’m doing. 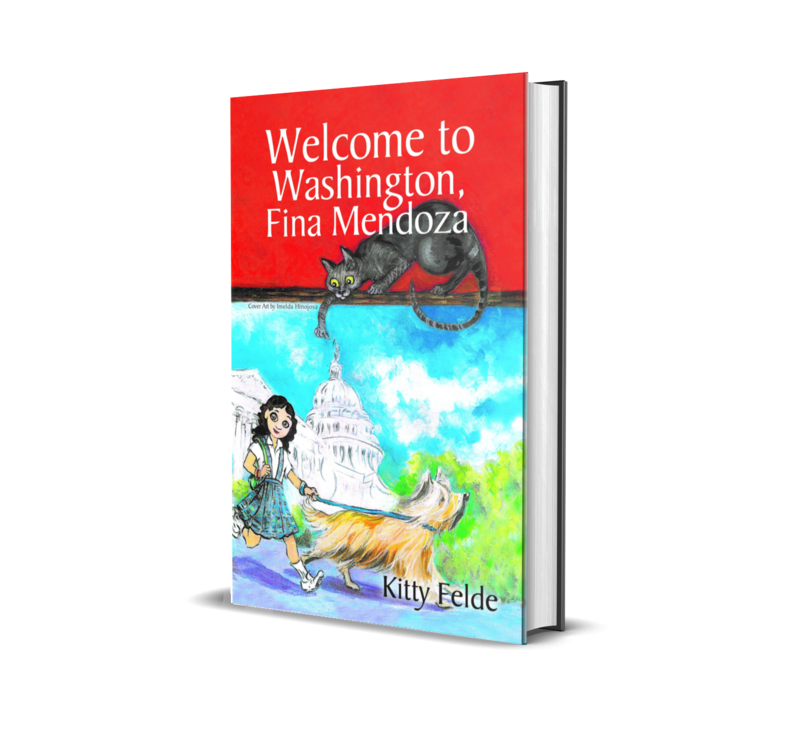 The book is a middle grade novel, “Welcome to Washington, Fina Mendoza.” It’s the tale of the ten year old daughter of a congressman who solves the mystery of the Demon Cat of Capitol Hill to save her family from “cat”astrophe. The publisher, Black Rose Writing, is a small indie house out of Texas that pretty much requires you to be your own editor. That means it’s my job to identify all the grammar mistakes. And there are many. I slip back and forth through tenses without considering the poor reader. Even re-reading this blog post is sending shudders through my heart. I have half a dozen writing manuals on my desk. And I use a “bible” – a text by a writer that I admire. I flip through the pages to see how she solved a particular grammar issue. I’m lucky to be married to a guy who has even more writing books on his shelves than I have on mine. (I was going to write “than I do” but was unsure of the grammatical correctness…) I can walk down the hall to query him about various rules. But even he was stumped from time to time. It’s enough to make you want to give up writing. On the other hand, how many times are we given the opportunity to learn something new? Something hard. Something useful. I like the idea of switching back and forth between writing for the stage and writing books for kids. I want to feel as confident about the latter as I do (sometimes) about the former. I want to be a writer! But I am still looking for the perfect grammatical writing book. Any suggestions? Here’s the thing. We all want our plays to mean something. In political times like these (or, if we’re being real, at just about any political time ever), the writer stands at the precipice of a canyon of noise and anger and disruption. And we think – how can I possibly make a blip in this mess? As both a marketing person and a playwright, I’ve spent a lot of time trying to convince people about why a play is “relevant” – and more than that, why theatre is “relevant” – and why they should spend this amount of money and this amount of time buying into a false reality and be moved in some way, to be challenged or questioned. In our struggle to be “relevant” (a word I might actually despise right now) – we playwrights sometimes produce “message” plays – plays that tend to hit on a topical conversation (gay marriage, terrorism, gun control, abortion) but not only hit on it, hit it right on the damn nose. There’s usually a moment when the playwright-thinly-veiled-as-a-character has a speech that describes why their view on the topic is the correct one. We all have one of these plays because the topic is important to us, because we are trying to be heard above the noise, because goddamnit, art can mean something. The problem with message plays is that they tend to preach to the choir. My opinion is not going to be changed because you deliver a monologue in my direction. Chances are, if I’m in the audience of your message play, I already agree with you. It’s the algorithm. It is everywhere. But, I will question my point of view if you give me characters I can relate to and love, a situation that is relatable or complicated and tense, and a slice of humanity that perhaps I had never considered before. Show me the grey area I’ve been ignoring. I might not change my opinion, but perhaps now I can see through the clutter and the postulating, all the way to the person on the other side. Theatre has to work harder, to be more than a Facebook or Twitter argument. Give me a message, but dip it in character and setting and poetry and beauty and darkness and comedy first. Coat it on thick, pull all the threads together, and make me swallow it with a smile on my face or ugly tears in my eyes. And I will digest that message over the next day or week or months or years – I will feel it there, even if the words don’t come right away. I don’t want a thesis statement. I don’t want to be able to describe in a sentence what your play was about after I’ve walked out. Make me feel it, show me what its about. Audiences are smarter than you think. Make them work. Even when they are being entertained, put them to work. This is not a passive art. It is not a passive life. We cannot be passive. Here’s the thing. There are plenty of people out there who say that art is irrelevant (and plenty of those people are in power right now), or that they don’t take meaning from art and that art is not there to mean something. But art always means something, even if you don’t realize what it is telling you. We consume stories and art constantly, even if we never step foot in a theatre. So I suppose all plays are message plays. But it is how we choose to frame it that makes the difference. 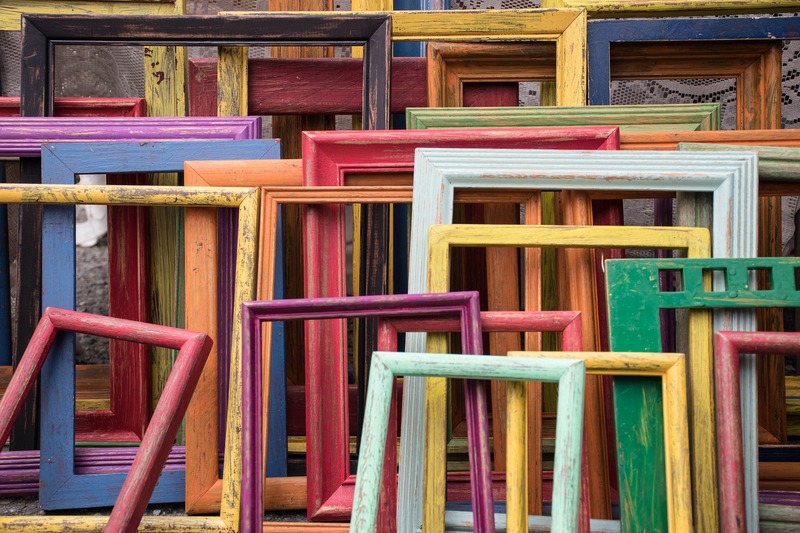 Take your message and frame it in different ways. See what life it takes on. We cannot measure our worth as writers based on the number of minds that are changed after two hours of the theatre. Minds are far too stubborn. Instead, we should challenge ourselves to let our hearts explode onto the page and the stage, and hope somehow, somewhere, a shard of the heart lodges into another person, and you are intrinsically linked for the rest of your lives. The world is changed by marches and strikes and wars and protests and hitting the pavement, but also by one shard of one heart in one stranger. Here’s the thing. It is exhausting. It is indescribably messy. And it is always relevant. Quick peeks at the work of #HFF16 female playwrights, “Women on the Fringe,” by Fringe Femmes who’re behind the scenes this year. Click Here for all Check-Ins. You guys. Martin Shkreli is not just abhorrent. He’s also completely weird. After pulling a volunteer from the audience and handing them a list of questions to ask her, Sarah Rosenberg swaggers and smirks her way through half an hour of bravado, threats, and claims of artistic genius, straight from the mouth of the worst dude of our time. I laughed, I made disbelieving faces that I probably couldn’t recreate if I tried, and I had a great time. This show has all the pleasure of sharing a really nutty article, except that the article is happening right in front of you. In almost every moment of My Mañana Comes, the audience is watching labor happen. Set in a restaurant kitchen, the mostly-naturalistic play follows four busboys over a period of a months as they work, make chitchat, confide in each other, and do the math of how to keep getting by, over and over again. While the play is absolutely political—it’s pretty much impossible to watch people working almost nonstop for an hour and a half without feeling strongly that they should be paid fairly for their damn labor—strong writing, sharp direction, and four A+ performances keep it feeling theatrical rather than polemical. It’s a pleasure to watch for the craft involved and also a real punch in the heart. For those of you who may not know, the two-month long Women’s Voices Theater Festival in the Washington D.C. area has officially begun. Over fifty of the region’s professional theaters (including Baltimore and northern Virginia) are producing over fifty world premiere plays written by over fifty female playwrights. This is an unprecedented event, and I am beyond thrilled to be one of the female playwrights to have my world premiere of Technicolor Life produced at participating theater REP Stage (which is producing an all-female season by the way). I also had the good fortune of being able to attend the invitation-only kickoff gala on the evening of Tuesday, September 8th at the National Museum of Women in the Arts. You can read about the seven originating theaters here, but I first want to give a huge, heartfelt shout-out to the festival’s producers, Nan Barnett and Jojo Ruf. Without these two rock stars, this monumental event would not be possible. Female playwrights’ fair share of the American theatre real estate. Since the birth of American theatre in the 1750s, white male playwrights have successfully dominated the stage and won prestigious prizes with their white male (mostly straight) stories. This is fact. The more a culture sees and experiences a particular kind of story, the more it is considered the standard. This could be deemed as theory, but let’s get real here, this is fact. But I want to be clear. I’m not bashing the white male experience—so many plays that have moved and inspired me have been written by white males. (Our Town and Death of a Salesman kill me every time I read them.) BUT the result of white male stories taking up all the prime real estate for the last 260 or so years is that all other types of American voices and stories have been marginalized. The only way for parity to be gained is to give the marginalized voices center stage for as long as it takes for them to no longer be marginalized. This is where the Women’s Voices Theater Festival comes into play. ALL of the theatre real estate is going to be given to female playwrights for the next two months. Which means our stories will be the standard. Yes, it’s for two months in the D.C. area, but the festival is getting national attention and there is great power in this. As I left the National Museum of Women in the Arts and made my way back to the hotel, I kept thinking about this power and all the future possibilities it holds. One possibility is that the festival will be insanely successful and cause a ripple effect where twenty cities hold their own women’s voices theater festival over the next few years. This would then inspire ALL theaters to make the conscious effort to share the prime real estate in their upcoming seasons. But my dream? My dream is that ALL theaters will actually want to do this and there will no longer be a need for a women’s voices theater festival. I’m not sure if this dream will happen in my lifetime, but I know as sure as I’m typing this blog, I will proactively work toward making parity happen. The night started with all the playwrights, artistic directors and other VIPs opening up the gala’s program and seeing Michelle Obama’s welcome letter. Alas, Ms. Obama, the festival’s Honorary Chair, couldn’t attend, but she was certainly there in spirit as you can see from my photo below. That last one really made me think. Because it’s the truth. As much as I hope for this to not be the case, there will be less than successful plays at the festival. But as Lisa stated, true parity means women should have the same opportunity to fail as well as to succeed. And I would like to think that the spirits of the female artists in this museum—the ones who were denied to fully express their creative selves all those years ago—were celebrating with us, too.